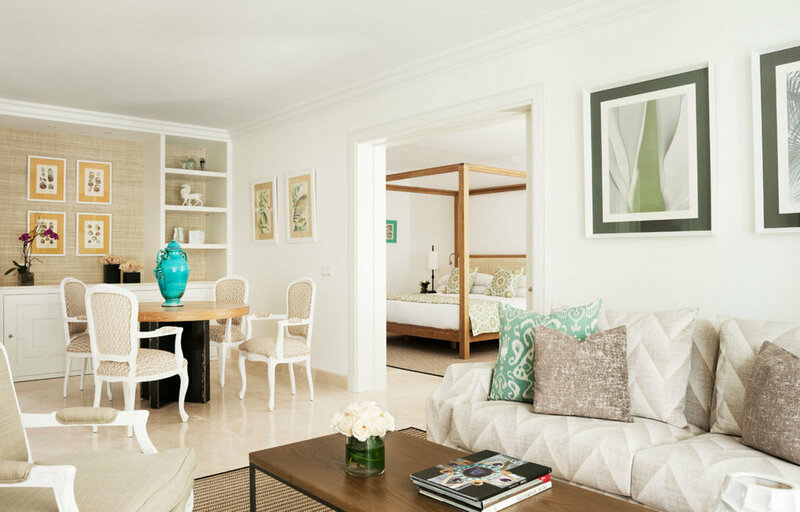 Grand history meets modern elegance and beach chic; the Marbella Club is as authentic and unique now as it ever has been and is the reason why Voyager Club loves it. Not too mention you can be in paradise in just thirty five minutes from the airport. 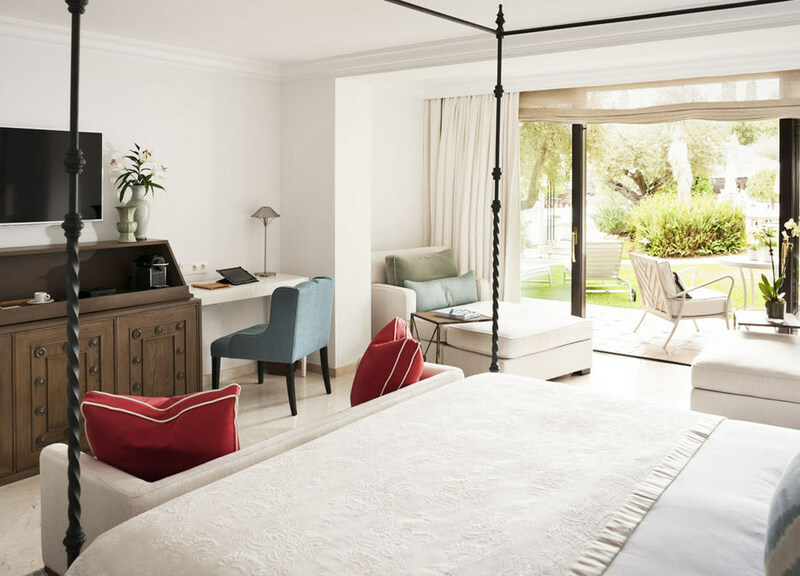 Location is key and the Marbella Club is fittingly positioned on the sandy shore of the Golden Mile, a spot which only reflects again the high pedigree of luxury that it has become famous for. All 35 guestrooms and 80 elegant suites are set in the jasmine-scented subtropical gardens so lovingly enhanced by the Prince himself. Spaces include a furnished outdoor terrace overlooking the glorious gardens or views out to sea. Gleaming marble ensuites are all suited to two people, with separate rainshowers and baths. Villa del Mar and 12 Andalusian-style luxury villas have their own gardens, some with private pools and fully fitted kitchens. Whilst the botanical gardens create a feeling of abundant space and tranquility, as does the Thalasso Spa, which has twelve treatment rooms and a range of treatments with a focus on stress reduction. You can find a warm and friendly buzz in the Club Bar, which is open-air in the summer and covered in botanical flowers and bright coloured sofas. A favourite spot in winter is the art-deco designed champagne room where champagne flows and caviar is readily available. We couldn’t agree more with Brigitte Bardot, the Marbella Club is simply divine. VOYAGER CLUB TIP- don’t forget to visit the gym for your morning workout and look out the floor to ceiling windows with views of the garden or a quick game of tennis on one of the pristine courts before a scrumptious breakfast.